The most important thing is that this is your day. This is your chance to stand before your friends and family and declare your love and commitment to each other. This is a personal experience which involves you and the people you hold closest to you. The story of how you both met, the experiences you have shared up until this moment and the dreams you hope to share in the future are relevant only to you two as a couple and can’t be adapted to fit another. Therefore the ceremony should reflect that. 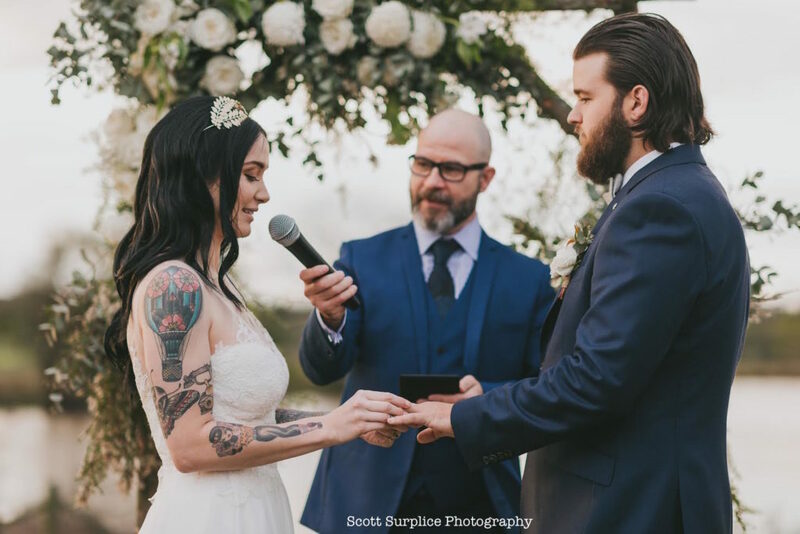 I will ensure that your ceremony has the right balance of solemnity, passion and humour to reflect who you are both as individuals and as a couple. I will create a ceremony relevant to you and you only. I have not and will not ever perform the same ceremony twice, I can’t think of anything more tacky than using the same ceremony for two different couples. There are also a number of different rituals you may choose to employ. The classic, and still my personal favourite, being the exchange of rings. But there are quite a few more, just ask me for details, or perhaps you have one of your own you’d like to do. To this day I have never had to say “no” to any idea a couple have in order to personalize their wedding ceremony. I can’t promise you the weather will be ideal, I can’t promise you a completely stress-free day, I can’t promise you a solution to the global economy, World peace or a reason why Phil Collins still makes music. But I can promise you will be positively delighted with your wedding ceremony! This includes the Sydney CBD and any area in Greater Sydney and its surrounds up to a 90 minute or 50km round trip from my home in Sydney’s wild Inner West. 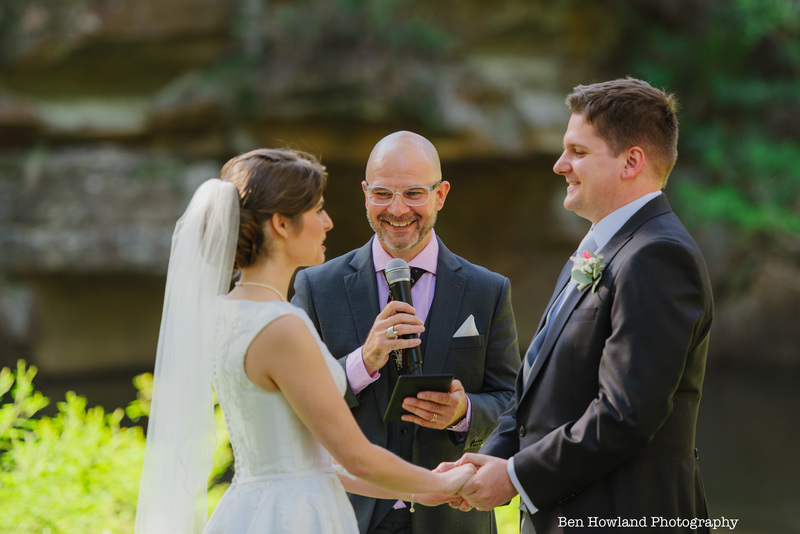 Man, I love the Hunter Valley and the South Coast so you don’t need to twist my arm to give you the greatest wedding experience in these incredible places. This includes Wollongong, Nowra and the Shoalhaven etc. I have done weddings all over NSW and Interstate, and even in Bali. Let me know where your going and I’ll give you a quote to follow you there. This includes all areas greater than 50km from my house excluding the Hunter Valley or South Coast. This is the bare minimum. There are 124 specific words which make a marriage legal in NSW. We bang these out. No mess, no fuss and off you go. Only available weekdays. An in person meeting is a chance for us to meet face to face and for you to see whether I am the right celebrant for you. More importantly, we discuss your wedding and any questions you may have. We can discus what your ideas are for your wedding and how the ceremony will fit into your plans. If everything goes well, we will fill out the Notice of Intended Marriage form. This is something I can do for you or I can help you with if you want to write your own. I don’t work off templates, each ceremony is custom made for you. You get to edit it in any way you wish, providing the legal necessities are all there. I usually do about 3 drafts and we will not finish until you are agreed on the final version. You are welcome to use my PA system if you require it for your wedding ceremony. I will bring it to the rehearsal and on the big day if needed. I complete all legal forms required before and after the ceremony. I’ll do my very best to ensure the legal bits don’t bore you to sleep like an Enya video. For any further information regarding government legislation on marriage please go here or read the “What Documentation you need to get married’ section below. A rehearsal usually takes place within the week prior to the big day, and is entirely optional. We can do this either with just the two of you, or with other members of your wedding party. It usually only takes about 15-20 minutes and is just very basic event management. It’s all about working out the entrance and exits and where everyone will be standing. This is the big event and will be the most incredible, splendid and kick-arse wedding ceremony you could imagine! 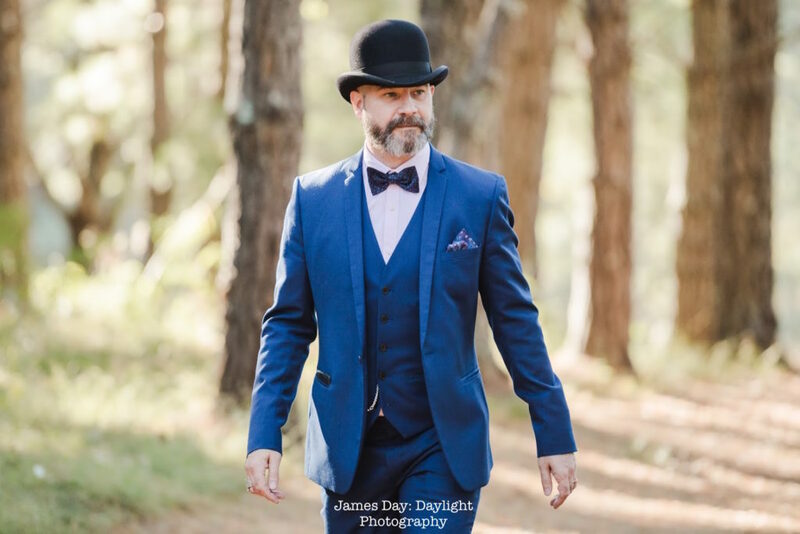 Any additional extras will be quoted separately, these may include a rehearsal outside of Sydney which requires me to stay overnight, extra time traveling to wedding venues further away or the hire of costumes for a theme wedding. Birth Certificates – These must be original or certified copies from the country of birth. Or Passports – If you can’t lay your hands on your birth certificate you can provide your passport instead. Overseas passports are permissible so long as they are in English or have been translated by an officially approved translator. If either of you has been divorced, you will need your Decree Absolute. If either of you has been widowed, you will need the Death Certificate. For the ceremony you will need 2 witnesses who must be over the age of 18.